Our giving, totaling more than $60 million since 2007, is a reflection of our collective commitment and our membership of more than 2,900. And it is why our impact is felt throughout the University and throughout the world. We are truly a group that derives its strength from its numbers. Many members are renewing their commitment to the University this month, making this a particularly important time of year for the George Eastman Circle. In thinking about that, I want to emphasize that since our beginning, we have come a remarkably long way in a remarkably short amount of time. And we have been able to do that because so many of you continue to renew your commitments. For the George Eastman Circle to realize its aspirations and continue to provide long-term leadership, keeping together is just as important as expanding. If you have not yet renewed your membership or submitted your George Eastman Circle payment, please do so today. I encourage you to think about the areas where you designate your support and about what makes them important to you. To all of you—continuing and new members—thank you for your dedication. Staying together and working together is helping us make a significant difference in many lives for many years to come. 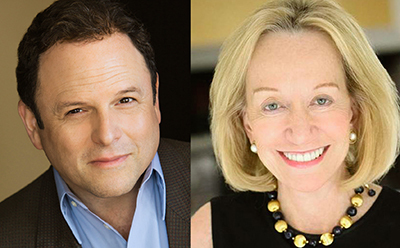 Pulitzer Prize-winning presidential historian Doris Kearns Goodwin and actor Jason Alexander will be featured guests at Meliora Weekend 2014. The University’s annual celebration of class reunions, family weekend, and homecoming will take place October 16–19, 2014. As announced in the last issue of the George Eastman Circle Newsletter, Goodwin will provide a keynote address on Saturday, October 18 at 11 a.m. in Kodak Hall at Eastman Theatre. She is the author of six critically acclaimed and New York Times best-sellers, and her latest book, The Bully Pulpit: Theodore Roosevelt, William Howard Taft, and the Golden Age of Journalism, was published in late 2013. On Friday, October 17, also at Kodak Hall, Alexander willperform in An Evening with Jason Alexander as part of theEastman Presents concert series. All George Eastman Circle members will have the chance to buy tickets before they go on sale to the general public, as well as attend an exclusive pre-concert reception. Beyond his portrayal of George Costanza on the hit NBC series Seinfeld, Alexander has performed on Broadway, done stand-up comedy, acted in film, and directed. His live appearances feature comedy, music, and improvisation. He has won six Emmys, an American Television Award, two American Comedy Awards, a Tony Award, and was honored by The Actors Fund with the Julie Harris Award for Lifetime Achievement. Actress and LGBT advocate Laverne Cox will also speak on Saturday, October 18. She currently appears in the Netflix original series Orange is the New Black, playing the role of Sophia Burset, an incarcerated African-American transgender woman. She is the first trans woman of color to have a leading role on a mainstream scripted television show. Time named Sophia Burset the fourth most influential character of 2013. Her acting credits include Law and Order, Law and Order: SVU, and Bored to Death. She produced and starred in the VH1 show TRANSForm Me. A graduate of Marymount Manhattan College, she has written for The Advocate and The Huffington Post. Please note that there will not be a ticket lottery for the keynote address this year. For more information about the registration process for these and other Meliora Weekend events, please follow the appropriate link: Associate and Member levels; Fellow, Benefactor, Patron, and Founder levels. All of our George Eastman Circle members have wonderful stories to share. We are pleased to feature this story from Charter Members who support the Horizons Program at the Warner School of Education. Financial advisor Marlene Dattilo has always dreamed that her 27-year-old financial services firm in Rochester would one day be run predominantly by women. A perpetually shallow pool of qualified women candidates has curbed the possibility of her realizing that dream and, at the same time, motivated her to get involved in educational programs for young children. Marlene, a member of the George Eastman Circle Rochester Leadership Council, was originally attracted to the Warner School by Science STARS (Students Tackling Authentic and Relevant Science), an after-school science club exclusively for 7th- through 9th-grade female students. The program is led by April Luehmann, Ph.D., whose passion for empowering young women through education was very much in line with Marlene’s aspirations for women professionals. As Marlene became more engaged with the Warner School, including service on the Dean’s Advisory Committee, another opportunity to engage in children’s early education presented itself when she was approached by Lynn Gatto, Ph.D., assistant professor and executive director of Horizons at Warner. Horizons is a six-week, full-day summer enrichment program for K–8 Rochester City School District students that takes place on the University campus. It provides meaningful and authentic learning experiences in a non-traditional school setting, blending high-quality academics with arts, sports, cultural enrichment, field trips, and confidence-building activities. Inspired by Gatto’s vision and energy, Marlene and her husband, Sam, use their George Eastman Circle memberships to support the program. In addition to the children of Horizons, the Dattilos are investing in the program’s leadership. They see the dynamic Gatto as a pivotal piece of the puzzle and are excited to be a part of her dreams for Horizons. The Dattilos added that philanthropy is in their DNA; each day, they wake up and want to give back. The George Eastman Circle enables them to make an immediate difference through a program they are both enthusiastic about supporting and promoting. George Eastman Circle members have pledged more than $60 million in annual funds since the program’s inception in 2007. Here is a small sample of the innumerable ways your support has made an impact on the University and the surrounding community throughout 2013. 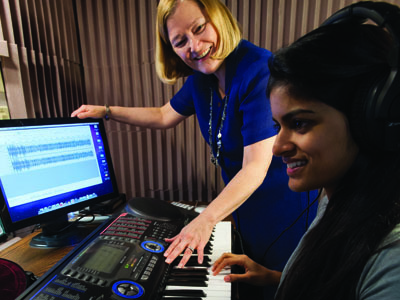 New undergraduate degree programs were established in digital media studies and audio and music engineering. Increased financial aid and scholarship support helped Rochester welcome its largest and most geographically diverse class ever. The Class of 2017 comes from 49 states and 71 countries. More than 100 freshmen received research and innovation grants, providing between $3,000 and $4,500 for projects to be carried out while at Rochester. Five new faculty members were hired for a new interdisciplinary major in East Asian studies. Together, they bring expertise in East Asian history, religion, anthropology, visual culture, and literature that has a special emphasis on China. The Gallery’s new Centennial Sculpture Park opened in May with a special ribbon-cutting ceremony. The Medieval Gallery underwent a complete renovation and reinstallation, and now features several rarely seen manuscripts and textiles along with old favorites. MAGart 2.0, the Gallery’s mobile app, was created to provide visitors with collection information, maps, and audio commentary via smartphone or tablet. As part of its Centennial celebration, the Gallery organized the popular exhibition It Came from the Vault: Rarely Seen Works from MAG’s Collection, showcasing works seldom on view to the public. A record number of six Hospital programs were listed in the top 50 of U.S. News & World Report’s 2014 “Best Hospitals”: Endocrinology (#21), Neurology/Neurosurgery (#29), Gynecology (#32), Nephrology (#32), Urology (#39), and Gastroenterology/GI Surgery (#48). Surgeons introduced a new device to treat potentially deadly aortic aneurysms in the abdomen. With the help of advanced 3D nuclear imaging technology, physicians at Strong are detecting heart disease faster than ever before. Scientists discovered a “waste removal system” in the brain and believe that understanding how to regulate it may lead to new treatments for neurological disorders, like Alzheimer’s disease. To read more about how members’ support has made an impact across the University, visit the impact page of the George Eastman Circle website. 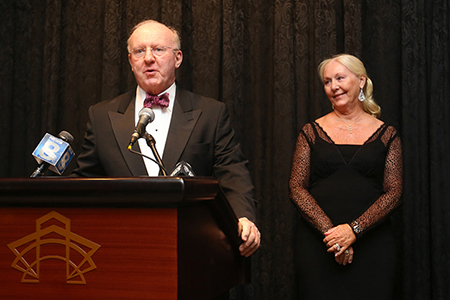 University Trustee Tom Wilmot and Judy Wilmot Linehan encourage attendees—many of whom were George Eastman Circle members—to join them in supporting cancer research at the Wilmot Cancer Institute during the 15th annual Discovery Ball. As a George Eastman Circle member, you are making a difference at the University, on a daily basis—through your philanthropy and leadership in the community. Together, members provide the dedicated support that enables world-class research and health care and creates countless academic opportunities. And through your service as volunteers and professionals, you embody the University’s mission to Learn, Discover, Heal, Create—and make the world ever better. University Trustee Laurence (Larry) H. Bloch ’75, P’13Sand Cindy Bloch P’13S honored Larry’s close partnership with Charter Member James D. Thompson, former chief advancement officer of the University, with a significant contribution that established the James D. Thompson Chief Advancement Officer: Endowed by Larry and Cindy Bloch. The Blochs, who are both Charter Members, also created the Larry and Cindy Bloch Endowment for University Advancement to perpetuate the achievement of the Advancement program’s mission. You can read more about this gift and Jim Thompson’s impact on Advancement in the gift’sofficial press release. Entrepreneur and George Eastman Circle member Martin (Marty) S. Lacoff ’71S (MBA), honored a close relationship with his former professor Michael C. Jensen, M.B.A., Ph.D., with a $1.3 million commitment to the Simon Business School. The Michael C. Jensen Professorship will help the School remain at the forefront of education and research by supporting a leading Simon School faculty member. You can read more about Martin Lacoff and Michael Jensen in the April 2014 issue of Fast Forward. Charter Members Eva K. Pressman, M.D., the Henry A. Thiede Professor of Obstetrics and Gynecology, and Seth M. Zeidman, M.D., a neurosurgeon who is a member of Highland Hospital’s medical staff, committed $750,000 to the Stephen L. Kates Research and Faculty Fund in Orthopaedics. Their gift was made in gratitude to Stephen L. Kates, M.D. ’89M (Res), the Hansjörg Wyss Professor in the Department of Orthopaedics and Rehabilitation, for saving Seth’s life after a serious biking accident. 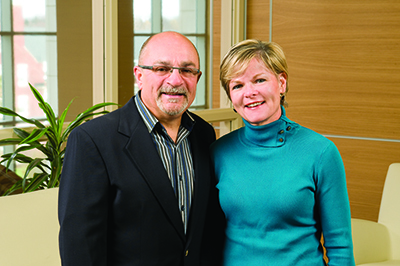 The couple hopes it will inspire additional giving to fund a professorship in Kates’ name. You can read more about the gift and the Department of Orthopaedics in the official press release. Charter Member and University Trustee Alan F. Hilfiker ’60was recognized for creating the Alan F. Hilfiker Distinguished Professorship in English at a formal installation ceremony on April 4. The professorship will help the English department sustain its rich history of talented faculty members, like Kenneth Gross, Ph.D., who was installed as the inaugural holder. You can read more in the April 2014 issue of Fast Forward. On May 7 the University recognized Charter Member Jay Benet ’76S (MBA) for establishing the Jay S. and Jeanne P. Benet Professor of Finance. Jay and his wife, Jeanne, established the professorship to support the recruitment and retention of a Simon Business School faculty member who is a leading scholar in the field of finance. The ceremony also recognized Ron Kaniel, Ph.D., as the professorship’s first holder. You can read more about Ron Kaniel’s achievements in the May 2014 issue of Fast Forward. The Wilmot Family, including University Trustee Thomas Wilmot and Judy Wilmot Linehan—both Charter Members—and the James P. Wilmot Foundation provided a $4 million cornerstone gift for the Wilmot Cancer Institute’s new $30 million campaign in support of cancer research. 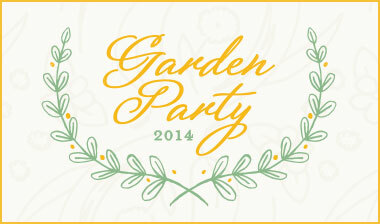 The gift and campaign were announced during the 15th annual Discovery Ball on May 10. For more information, you can read the press releases for the Wilmots’ gift and the launch of the Wilmot Cancer Institute’s campaign. On May 13, the University community formally dedicated theLinda E. Sloan Studio. The studio is part of a visionary commitment from Charter Members Linda Sloan ’67 and her husband, University Trustee Tom Sloan ’65, ’67 (MS) to enrich campus life and students’ exposure to the arts. Sloan Studio, located in Todd Union, provides dedicated space for the International Theatre Program and the performing arts. You can read more in the May 2014 issue of Fast Forward. 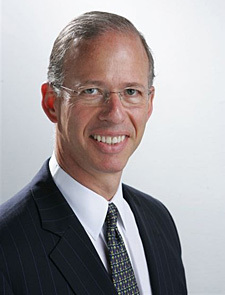 President Joel Seligman announced that Charter MemberJamal R. Rossi ’87E (DMA) would be the second Joan and Martin Messinger Dean of the Eastman School of Music on May 13. Rossi succeeds the late Douglas Lowry, who served as the first Messinger Dean and stepped down due to illness. You can read more about Dean Rossi’s announcement on the Eastman School’s website. Charter Members Bradford Berk ’81M (MD), ’81M (PhD), CEO of the Medical Center and UR Medicine and University senior vice president for health sciences, and Arthur Moss ’62M (Res), ’65M (Flw) were both recognized by the University on May 14. At a formal installation ceremony, Moss became the Bradford C. Berk, MD, PhD Distinguished Professor, which was established by a $1.5 million gift from Berk and his family, as well as a $500,000 contribution from the University’s Department of Medicine. You can read more in the May 2014 issue of Fast Forward or in the press release for Berk’s gift. On May 15, Charter Members University Trustee Evans Lam ’83, ’84S (MBA) and his wife, Susanna, were recognized alongside fellow George Eastman Circle member Joanna Wu, Ph.D. At a formal installation ceremony, Wu became theSusanna and Evans Y. Lam Professor, which was established by the Lams to support a Simon Business School faculty member who is an excellent scholar and teacher in a specific field. You can read more in the May 2014 issue of Fast Forward.